maturity. Rs. 100/- grows to Rs 147.61 after 5 years. denominations of Rs 100, 500, 1000, 5000 & Rs. 10,000.
an adult for himself or on behalf of a minor or by a minor. 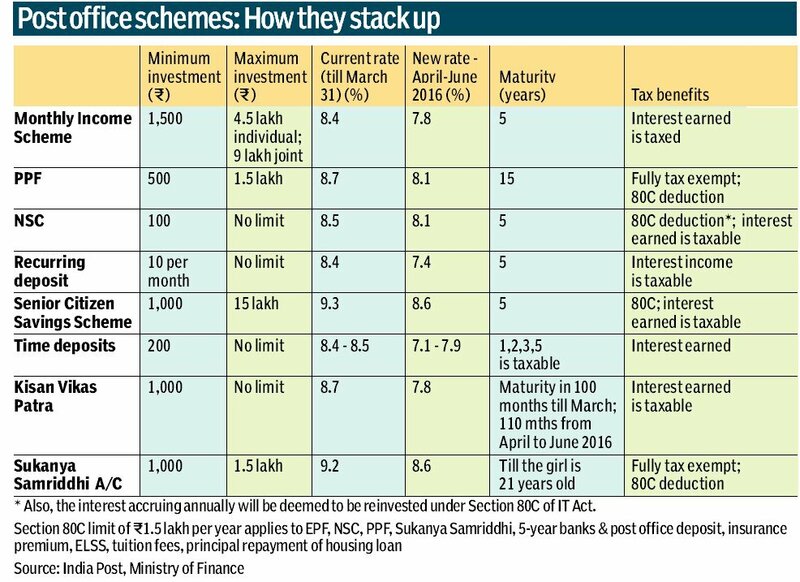 o Deposits qualify for tax rebate under Sec. 80C of IT Act. be reinvested under Section 80C of IT Act. date of issue to date of maturity. with his designation stamp and date stamp of Post office.